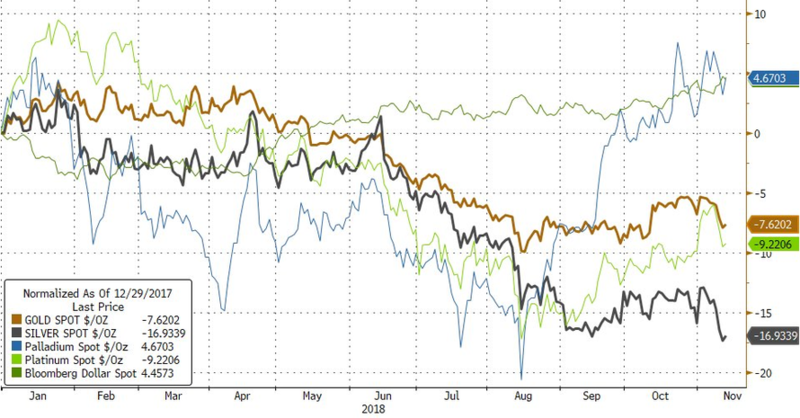 With decelerating global (most notably Chinese) economic growth curbing industrial demand for silver just as gold benefits from financial market volatility-inspired safe-haven appeal - amid tightening tightening financial conditions - Silver is the cheapest to gold since 1993 as slowing economic growth clouds the outlook for metals with industrial uses. Spot silver has tumbled 17 percent this year to close at an almost three-year low on Monday, while gold’s lost less than 8 percent after turmoil in world equity markets boosted prices in October. Oil reached what appears to be some limit around 5 oz of silver per barrel in early October and has plummeted in value relative to silver since. 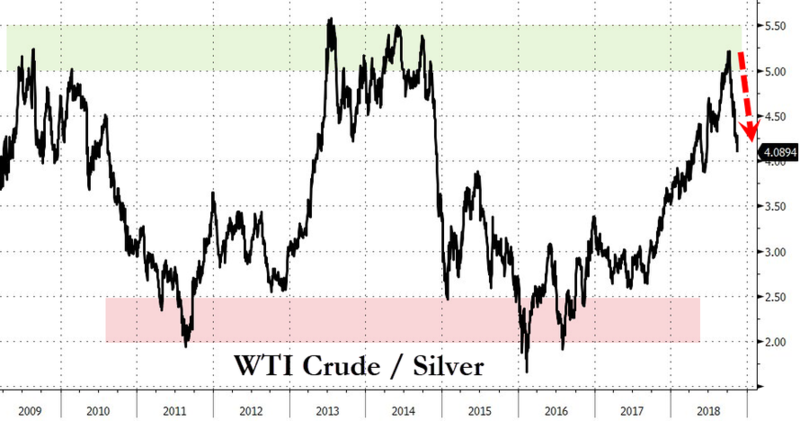 Makes one wonder if there is some underlying petrodollar-peg that keeps oil trading between 2.5 and 5 ounces of silver per barrel? 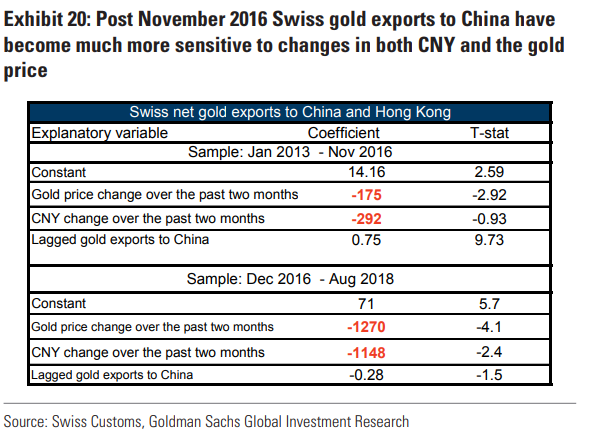 Indeed, as Goldman Sachs recently noted, post-November 2016 Swiss gold exports to China have become much more sensitive to both the dollar gold price and the CNY exchange rate. 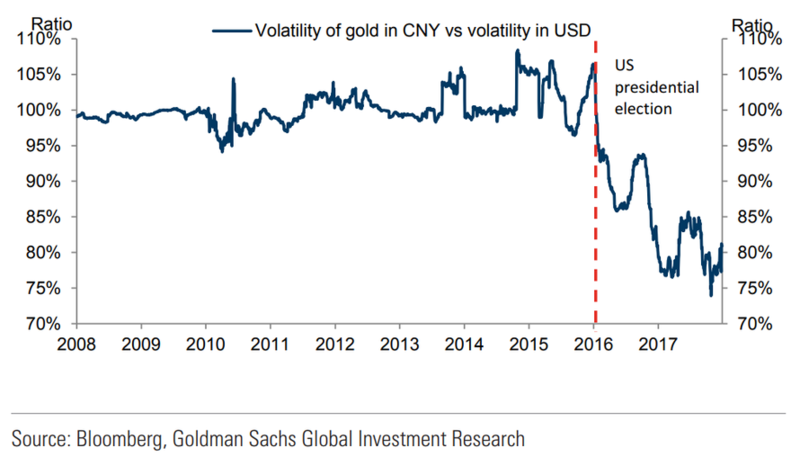 The change in gold purchasing pattern coincided with the election of President Trump, who promised to get tough on China during his election campaign. 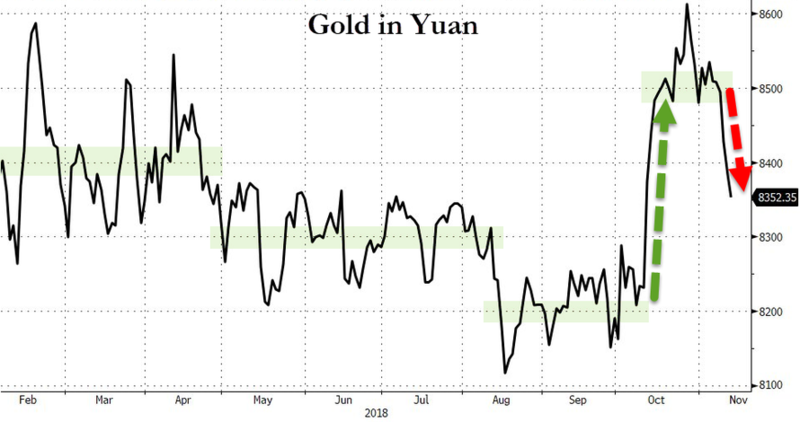 Given that our economists don’t expect the US China trade tensions to go away anytime soon we would expect the CNY sensitivity of Chinese gold purchases to remain elevated. As Goldman concluded, our Fear and Wealth framework suggests solid fundamentals for gold. 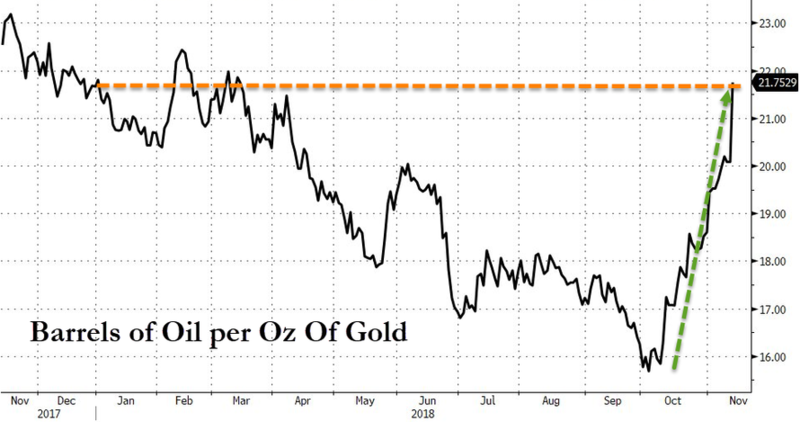 A low and falling US unemployment rate combined with slowing growth and rising inflation should boost “fear” related DM gold demand. 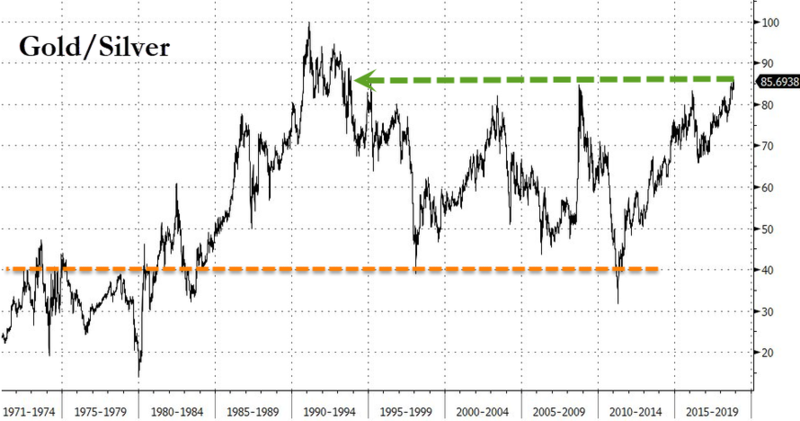 A rebound in EM dollar GDP increases their gold demand through the “wealth” channel. On top of this, rising geopolitical tensions create upside risk to central bank gold demand.